Hollytron is a nickname that I gave myself in secondary school, which my friends were gracious enough to use. 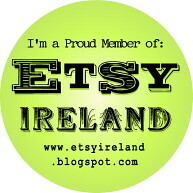 I now use it for all my creative projects, including my Etsy store. I've always been interested in making stuff; I loved reading craft books from the local library as a kid, and I was always drawing, painting or making something wild, like trying to dig a pond in the back garden. I started this blog to share what I get up to, but I'd also love seeing what other people make and do! So lets go do something fun! Do leave a comment, I'd love to hear your thoughts on my ramblings! Thank You for visiting my Blog! I'm Holly, and this is where I share what I've been up to! All content, unless stated otherwise, is copyright to Holly Burgess. Simple theme. Powered by Blogger.